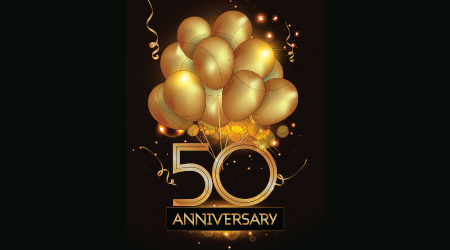 Lambskin Specialties, manufacturer of dusting and manual cleaning tools, celebrates the 50th anniversary of its Dust Wand duster. In 1969, Albert Schultz introduced his Dust Wand duster to the industry when he embarked on a long road trip through the American heartland with his two young sons. He cold-called on distributors that summer, demonstrating his new creation and proving its remarkable effectiveness, forever changing the way professionals approach dusting jobs. Fifty years later, the longevity of this industry staple proves when a product is made with integrity, combining excellent design, quality materials and proven performance, it never goes out of style. The original Dust Wand design was based on the memory Schultz had of watching his grandmother clean furniture by wrapping lambswool around her finger. He experimented with how to effectively attach lambswool to wood handles until he perfected the design. The result was the Dust Wand duster which enabled housekeepers to reach dusty surfaces with great ease. Natural lamb’s wool offers incredible dusting power. While a light static charge attracts dust, its web of fine fibers and natural lanolin oils work together to trap and hold dust particles until the duster is spun to release them. Lamb wool naturally conforms to furniture corners, crevices and carvings to effectively remove dust which other tools can leave behind. As Schultz predicted, the industry embraced his new tool and his company transformed itself from a small garment industry company to North America’s largest manufacturer of lambswool dusters serving the maintenance industry. Every Dust Wand is still manufactured in the company’s Winnipeg, Canada factory. While Lambskin Specialties has adapted the original Dust Wand duster with different handles, lengths, pom sizes and colors, the design concept has remained true to its origin. Various configurations provide a multitude of dusting solutions such as models which fit on utility handles (the Wall/ Ceiling and Corner Boy models) for virtually unlimited reach to high surfaces. “After 50 years, the industry still depends on the reliability of the Dust Wand duster, a simple design which is well-executed with quality materials,” notes Myron Schultz, who as a young boy accompanied his father on the Dust Wand’s maiden cold-calling blitz and is now celebrating its golden anniversary as the company’s president.